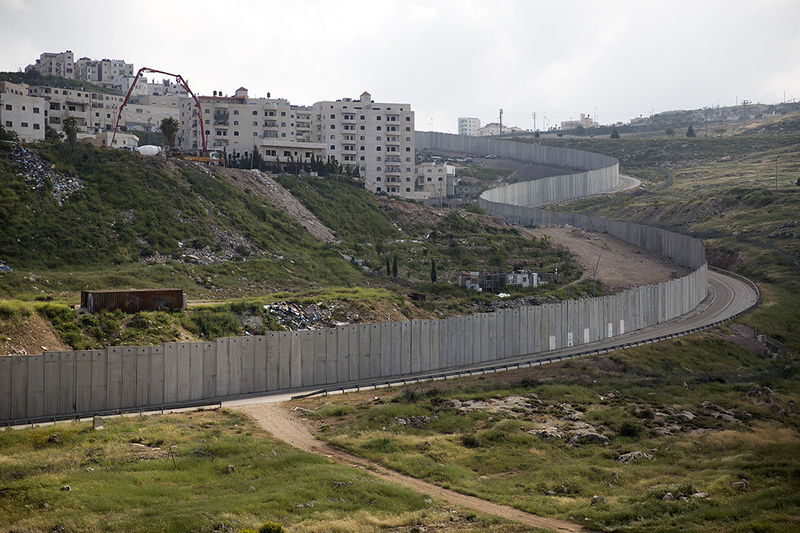 PALESTINE: How do they celebrate Easter behind the wall? Do muslims and christians celebrate together? A holy annually miracle happens in Jesus Christ's tomb in the Holy Sepulchre in Jerusalem. A blue light emanates spontaneously and eventually forms a column containing a form of fire, from which candles are lit and spread in the orthodox world. The fire is also said to spontaneously light other lamps and candles around the church. Pilgrims and clergy claim that the Holy Fire does not burn them. 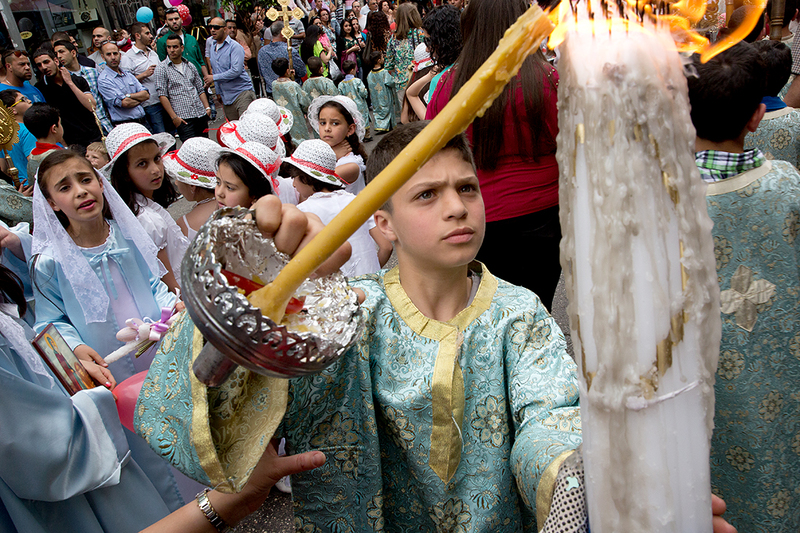 Orthodox tradition holds that the Holy Fire is a miracle that happens annually on the day preceding Orthodox Easter. The Holy Fire is brought to certain Orthodox countries, such as Greece by special flights, being received by church and state leaders. 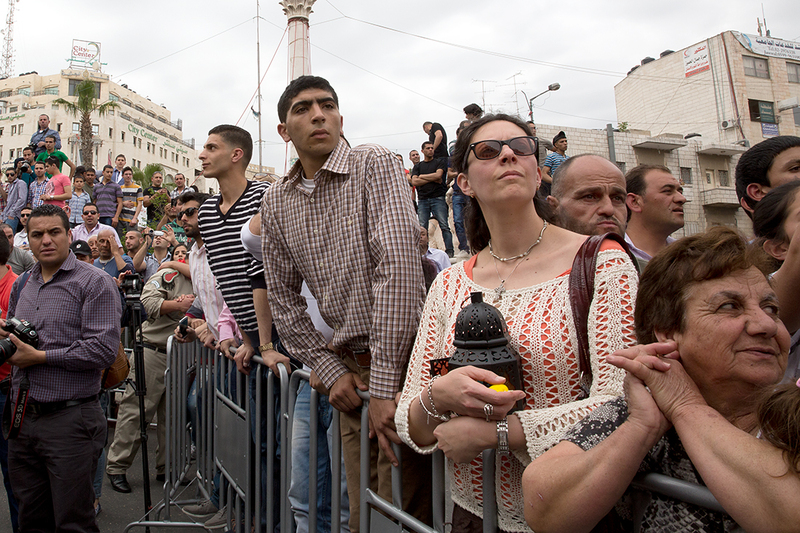 Thousands of pilgrims gather in Jerusalem to partake and witness this annual miracle. 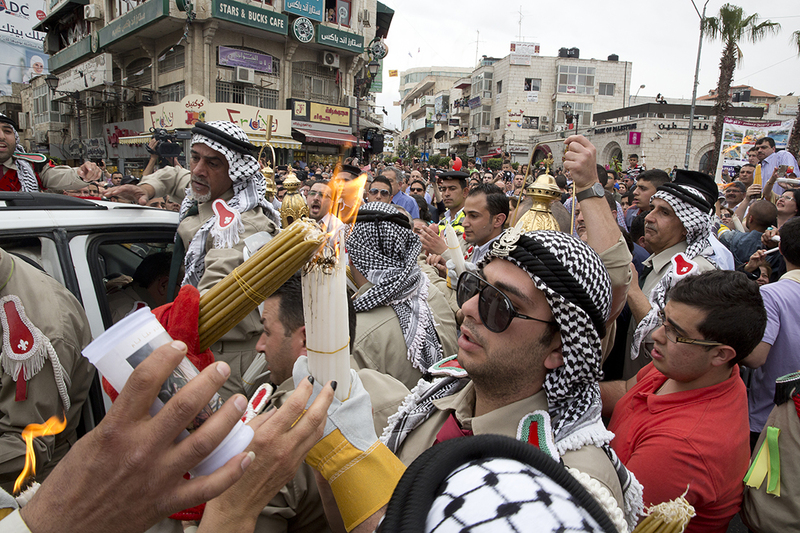 In the city of Ramallah, 14 km north of Jerusalem, the holy fire arrives by car. A Palestinian family is and has been resposible for this transport through security checks and the wall. The car arrives in Al-Manara square, than the Easter parade takes it to the Greek Orthodox Church in the Old City of Ramallah. The fire is lit for everybody and Christians in Ramallah takes the fire back to their private homes. 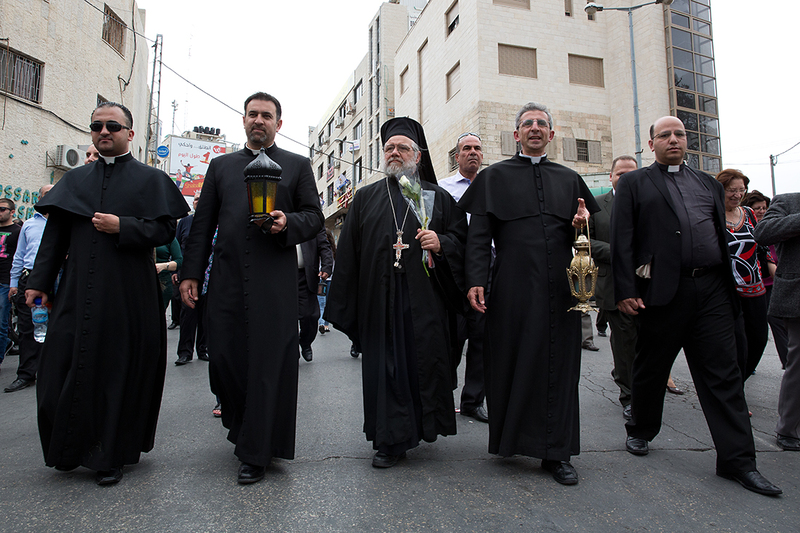 Christian are a minority of the population of Ramallah today. Easter is the holiest of festivals, it used to be bigger. Like the ones commemorating the Way of the Cross along the Via Dolorosa or the Annunciation, for which Christians and Muslims would camp out on the hill outside the Lion Gate. But since Israel’s occupation of Jerusalem, either these celebrations have been cancelled or Palestinian Christians from outside Jerusalem have not been able to participate because they can no longer freely enter the Holy City. Today people of Ramallah can no longer bring back the light from the Church of the Holy Sepulchre themselves; they have to wait for it to be delivered. Thousands of boys and girls scouts from the city, nearby refugee camps and other Palestinian villages comes to Ramallah to participate in the Easter parade. In the end of Holy Saturday Christians families gather together and celebrate with an Easter lamb.